Searching for the perfect agency from whom to lease your next GMC auto? Well, search no longer – you’ve found it with Car Leasing Brooklyn! We’ve got the best selection, the lowest rates, the most accommodating financing, and the pinnacle of convenience in GMC leasing anywhere to be found in New York state! 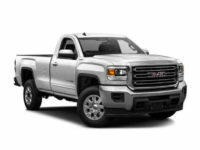 We have top-notch relationships with GMC dealers all throughout the area, meaning we can offer their stock as our leasing inventory, bringing you the ultimate in GMC auto lease selection! 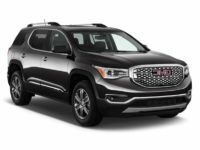 Whether that’s the Acadia SUV, the Savana Cargo and Diesel, the Canyon Crew Cab and Extended Cab, or the Yukon SUV and XL SUV, we have every recent GMC model here at Car Leasing Brooklyn! 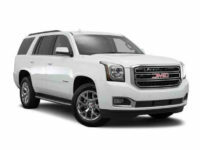 And our cost-cutting online business model not only brings you the lowest possible monthly leasing rates on a powerful GMC vehicle, but also makes it incredibly convenient to go through the GMC lease process! Check out our phenomenal GMC leasing deals today by visiting our GMC inventory site, or to inquire directly, call 718-307-5639 right now! Car Leasing Brooklyn Offers Low Prices on Auto Lease Deals! We’re absolutely certain that Car Leasing Brooklyn is the best agency in the business of GMC car leasing anywhere in the state – but don’t take our word for it, come check us out and be as certain as we are! 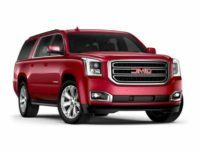 GMC auto leasing from Car Leasing Brooklyn guarantees that you’ll get the best price on a GMC car lease available from anyone, anywhere! We’ve slashed the overhead costs typically associated with a “traditional” car leasing agency like the prices of monthly rent associated with physical car lots, the sky-high costs of procuring vehicles to create a comprehensive leasing fleet (not to mention the cost of replacing them each new model year and selling off unleased vehicles at a loss), as well as the middlemen whose commissions and salaries drive up prices, and what’s more, we’ve made it amazingly convenient to lease a great GMC automobile! 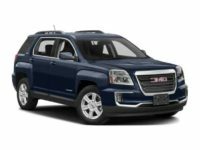 If you’re looking for the Terrain SUV, the Sierra 1500 line of trucks including the Crew Cab, Regular Cab and Double Cab, or something from the Sierra 2500HD or 3500HD series like the Regular Cab, Crew Cab or Double Cab, – or in fact any current GMC model of auto – we’ve got just what you need at Car Leasing Brooklyn! 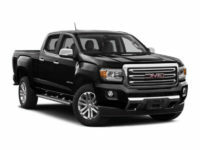 To get started on a great GMC car lease, just browse over to our GMC selection page, get a quick quote on the GMC vehicle you want to lease, and then fill out the online GMC auto leasing application form! We’ll then arrange financing from one of the financial institutions and lenders with whom we’ve got close-knit, long-standing connections, and send you the terms of the lease that we’re able to negotiate! Accept the generous leasing terms, and specify where you want the vehicle sent (at no extra charge, of course)! Once you’ve done this, the GMC car that you’ve selected is delivered to your home or office quickly, and then you just sign the final papers and drive off in your brand new GMC lease! It couldn’t be more convenient, and the prices and selection from Car Leasing Brooklyn are unbeatable! Come see for yourself at our GMC selection page, or place a call straight to Car Leasing Brooklyn’s professional staff at 718-307-5639!